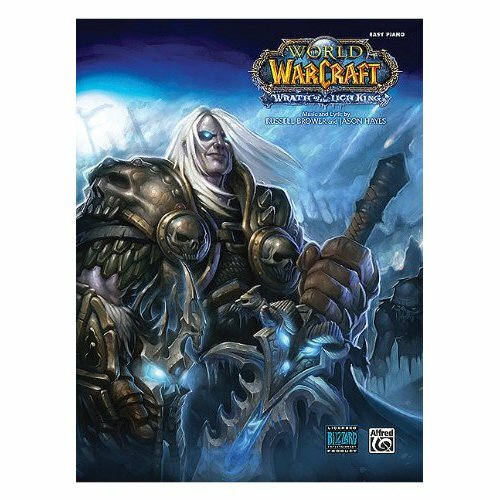 So last Saturday I was doing some shopping at one of the local sheet music outlets (Noteworthy Music) and I came across a piano/vocal score of “Wrath of the Lich King” from World of Warcraft. For those of you who don’t know, World of Warcraft (aka WOW) is an MMORPG (massively multiplayer online role-playing game). I’ve never played it and with only brief stints on Second life and some of the online browser games like Travian, I’ve only seen this played by some friends. I do admit that I have played the computer game versions of Warcraft, however, so I’m not entirely immune from knowledge of the franchise! So, as I said, I came across this piano/vocal reduction I just had to buy a copy. I think it will be a perfect tune (or set of tunes) to do with the il Troubadore Klingon Music Project because. Really, who wouldn’t want to see Klingons singing a World of Warcraft tune? Even better would be Klingons dressed up as the undead–I wanna be Kel’Thuzad, though Arthas (in his Death Knight incarnation) would be a close second choice.